Houses, apartment complexes, closets and parking lots, these are the spaces that Kam Kama is describing. Every track on Shift seems to reference these interior spaces. From the cold utilitarian buildings of modern urban life to cramped psychological spaces, we’re defined by the dwellings we inhabit. The understated guitar work typical of the record opens A-Side’s “Closet Night” and sets a chorus heavy tone that seems to loosely follow Scott Ferguson’s melody but more often takes it’s own seemingly random complementary path. The track has a Caribbean feel with kettle drum tones in the background and it’s these unexpected choices that remind me of The Police’s combination of equally unlikely elements. An instrumental break, ”Start-Ravissante” references early post punk changes, breaking up melodies into deviating moments before backing down through a hushed heavy chorus that never gets dark. The understated drums never climax, it’s all working towards a constant plateau - a reflection maybe of an unbending culture. “Shade at the Door” has all the nervous energy of The Feelies combined with the contemporary new wave sound of I Love You But I’ve Chosen Darkness. Their instrumentation has a progressive slant that creates complexity out of simplistic melodies encouraging deeper digging lyrically because their instrumentation is so complete. Its an easy vehicle for Scott’s dense, abstract verses and optimism in lines like “There’s always someone I can call”. Even in this labyrinth of his internal space there’s someone to pull him out of that impossible maze reigning in this ominous leaning instrumentation. Swirling atmospheric guitars from Jim Kalwara are a dense impenetrable wall of melody without the harsh distortions, absent of treble and higher frequencies. “Pervert’s Circle”isn’t talking about an apocalyptic future but the troubles now of people on the fringes of subdivisions and block housing, in the middle of oppressive brutish spaces. The abandoned places that are inherently sad; the alleys and hallways, the stairwells of those structures like the all too familiar photos of Detroit’s opera halls and theaters that have fallen into ruin. This is the soundtrack reflecting that bleakness. The escalating guitar melodies barely reach above the windowsill. It’s not a warning, this has already happened. You end up with a sound that’s nostalgic and contemporary, relying on that idea that the less you spell out the more the listener can fill in. Going after a melody and drilling into it deeper and deeper, like overlooked everyday moments, always subtle and hardly working. It takes restraint to never let this get out of control, working in moments of angelic chorus and delay, always tethered to the ground, anchored with heavy weights. The same way that Film School was such an exact homage to a nostalgic sound these guys have absolutely captured that same feel without reciting it line by line. Scott even rises above his usual controlled delivery to break away for a moment because they’ve been building this tension up for an entire record. He strains for a second on the final verse of the song but he isn’t going to tell you his life story just because you bought him a couple of drinks. Everything on Shift is ordered and symmetrical; from the center label to the lyric sheet and just as minimal as the instrumentation. There’s no extreme swings on this record, it comfortably works in a middle ground which is itself unsettling and gets better with repeated listens.They seem to be forcing themselves to rely on their complexity and changes to stay above the surface of this suffocating sentiment. 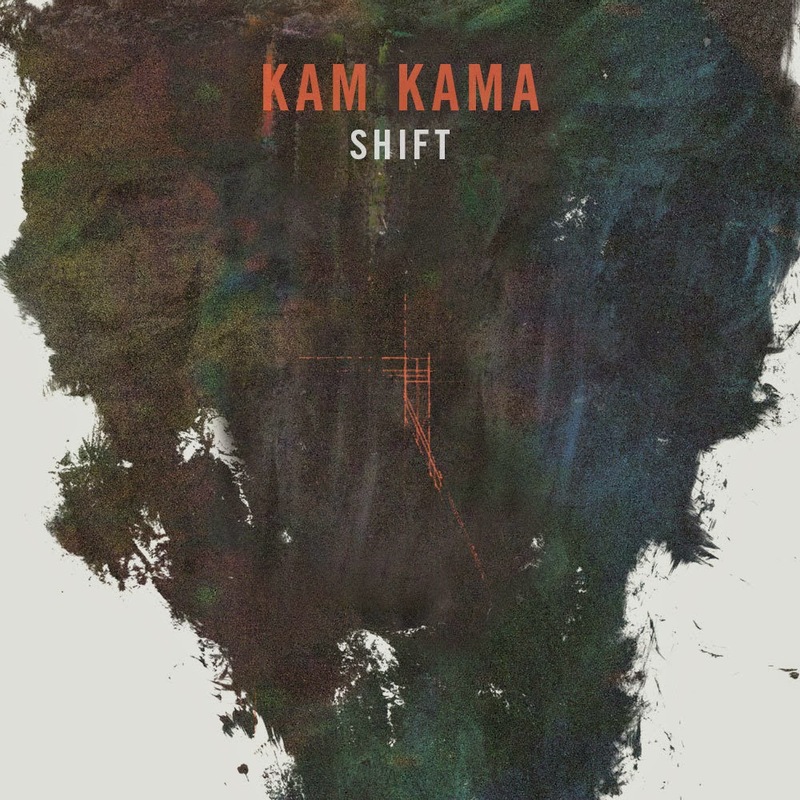 It’s Kam kama’s vision of cookie cutter urban monotonies; the passing of day and night, isolated in the same room, asking how you can evolve or grow without being predictable. That could be the shift they’re talking about. It’s not a shocking departure, it gradually takes shape and ends up being a great record. Out Tues, Sept 2nd from Sister Cylinder Records.